In order to apply for a job through our platform, you need to register and fill in CV. And you need to do that only once. 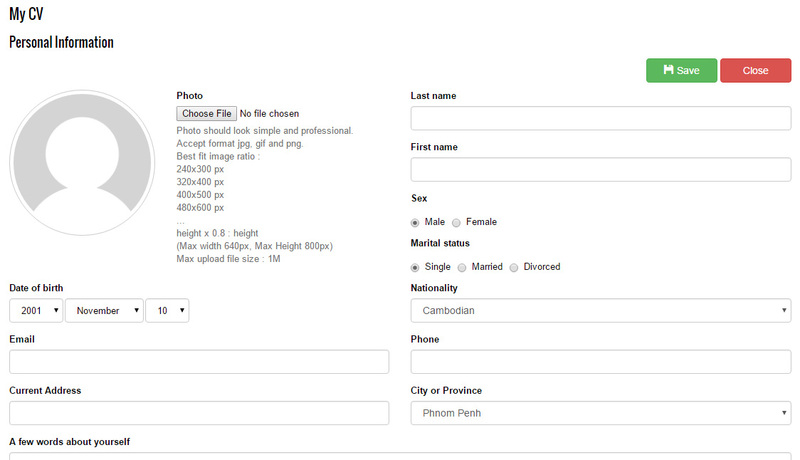 Job recruiter can not see your photo, name, email and telephone number. They can only view your full CV when you have applied for any of their opening job announcement. CV is the first impression you show to recruiter, so it is important to give as much as information you have.